Over 2,000 marine species have been recorded in Strangford Lough alone and it is tremendously important for biodiversity. 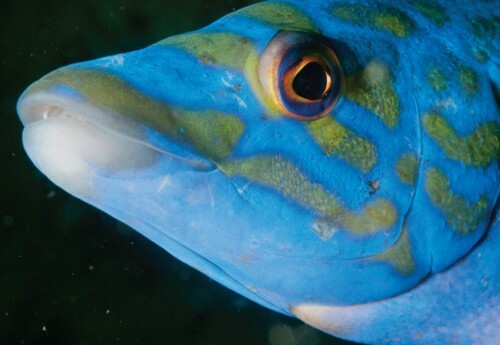 The more eye-catching animals include octopus, conger eels, angler fish and multi-coloured wrasse. The sides of the Narrows are draped in huge colourful sponges and brilliant soft corals. 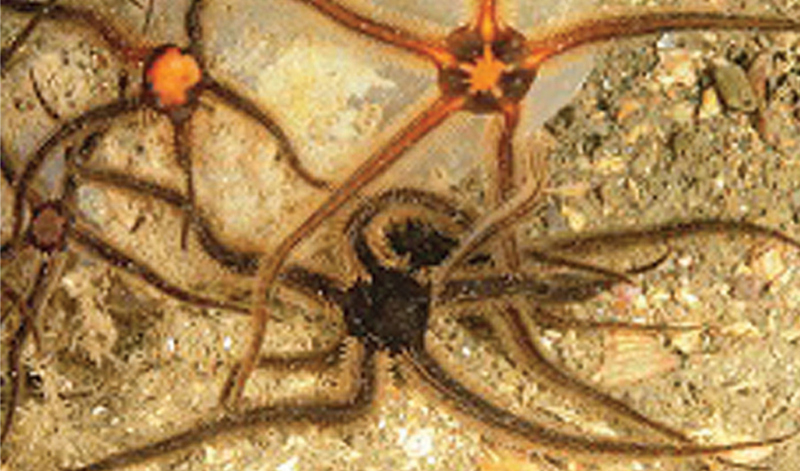 Elsewhere the seabed is carpeted with brittle stars, sea anemones, and sea squirts. Horse mussel beds have declined but still provide one of the richest habitats in the Lough with about 200 associated species. Seaweeds shelter animals in the sea and on the shore and large quantities of dead seaweed accumulate on the strand line providing a rich habitat for sand-hoppers and seaweed flies, which in turn are food for birds and small animals. 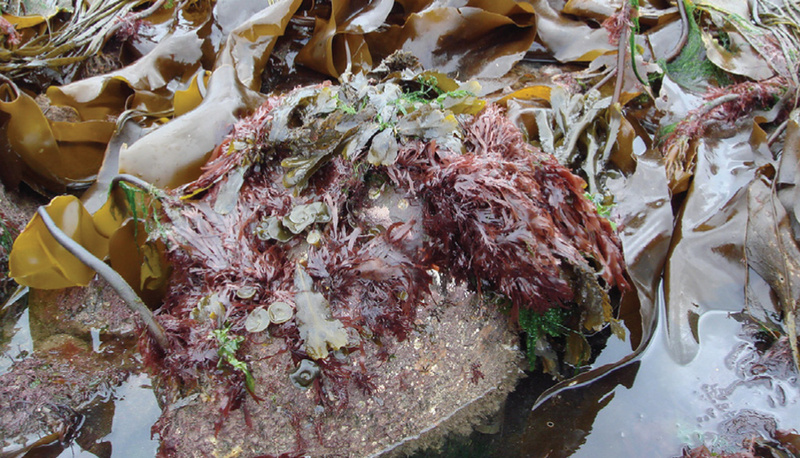 When it rots this seaweed puts valuable nutrients back into the sea. 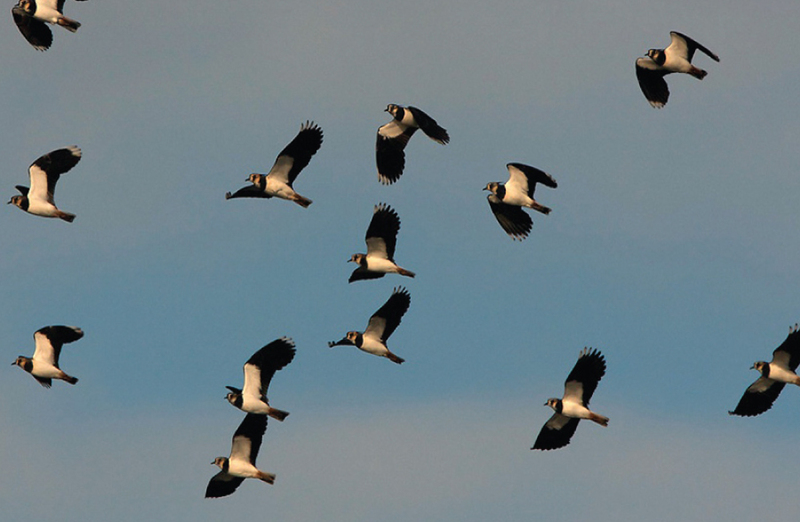 The arrival of huge flocks of birds, often over 70,000 water birds every autumn is a cause for celebration and awe and is part of the rhythm of the year for local people. 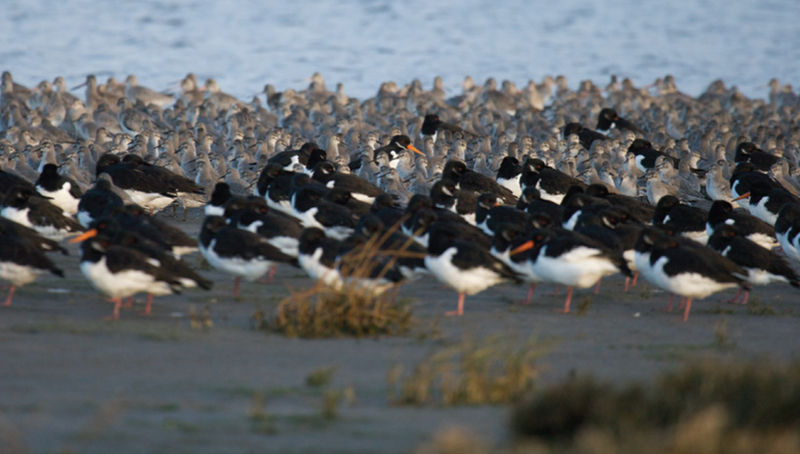 These birds overwinter on the extensive mudflats to feast on eelgrass, green seaweeds and invertebrates. 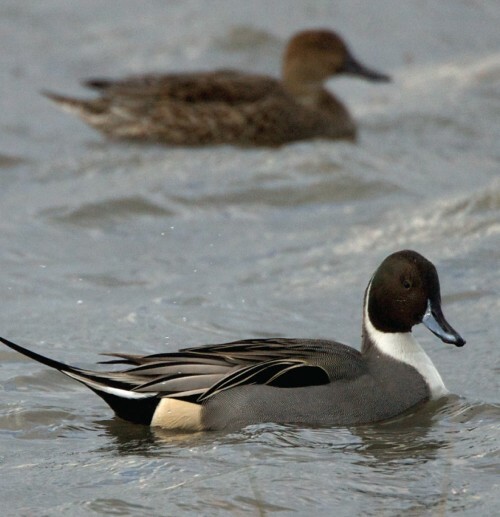 Strangford Lough attracts up to 80% of the Canadian population of pale bellied Brent geese through October / November. These wildfowl and waders undertake arduous and incredible journeys from Arctic Canada and Eastern Europe using this area as a staging post and also as a final destination. They get here exhausted, nervous and underweight and for this reason it is particularly important that they are not disturbed on first arrival. When you think that these birds can only feed when the tide is out, mostly during the day, and when you consider the huge effort it takes for a bird to lift in flight you realise how important it is to avoid causing them to rise. Terns are amongst our important summer visitors. They travel from as far away as the Antarctic to nest on islands here and it is a great sight to see these slender, elegant birds diving for small fish. Birds that nest on or beside the shore run the risk of having their well camouflaged eggs trampled and people are asked to avoid certain islands and areas of shore during the nesting season. 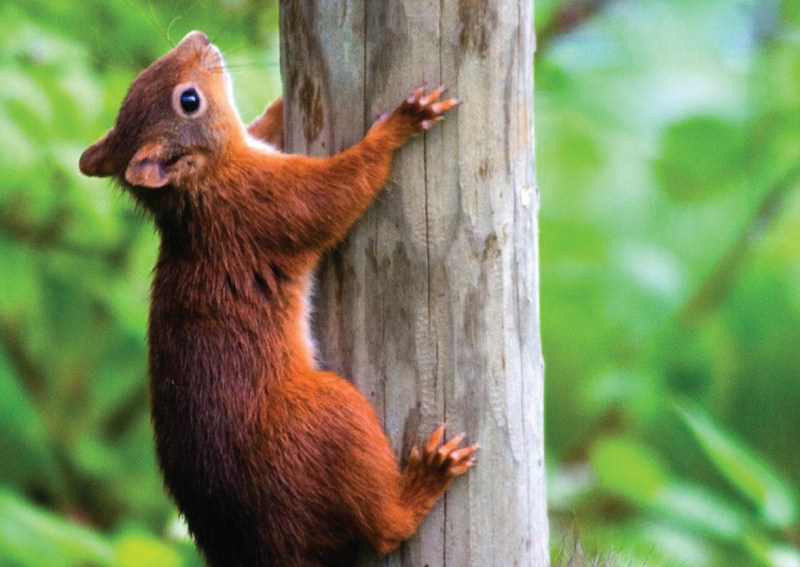 Predators such as rats pose a real threat to nests on islands. Strangford Lough is an important breeding site for harbour (common) seals. Grey seals, porpoise and otters are also present. Spotting and photographing wildlife is a huge interest for many people. If seals are hauled out just make sure you do not get so close that they are forced into the water – you can tell they are getting anxious if they are constantly scanning in your direction. Dead seals have been found in the area with injuries from power boat propellers and people are asked to lower speed near haul outs. 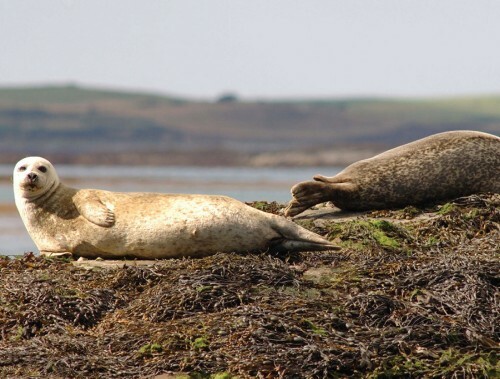 Food availability is also a major issue for seals. Throughout the spring and summer, the coast is dappled with sea aster, scurvy grass, thrift, sea campion, mayweed and sea lavender. Alkaline grasslands such as those at Killard and Ballyquintin are famed for their orchids and are carpeted in wild flowers from May to August each year. Wild thyme, stonecrops, and spring squills grow in thin soils and remnants of maritime heath with bell heather grow on acid soils. On deeper soils, scrub forms with gorse, brambles, roses, blackthorn and elder. Saltmarsh is a rare habitat in Northern Ireland but Strangford Lough and Lecale have some of the best examples of it. Rock outcrops immediately above the shore show a profusion of black, yellow and grey lichens, zoned according to the amount of wave splash. 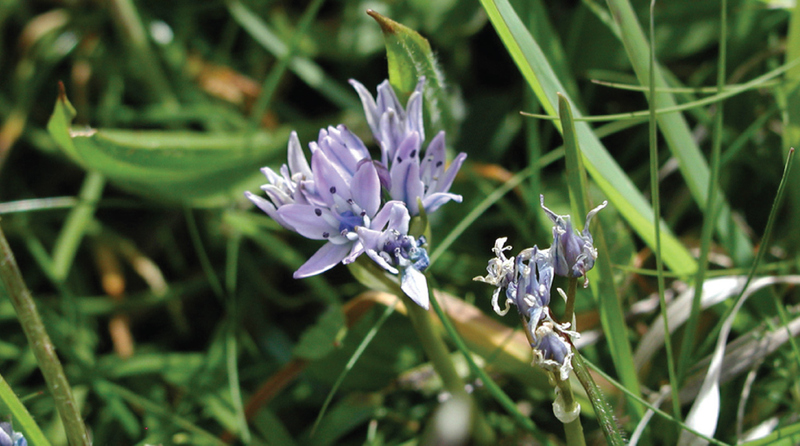 The area’s characteristic hedgerows and inter-drumlin wetlands have a thriving biodiversity. There are also pockets of woodland and the Ards Peninsula is one of the last bastions of the red squirrel. Water quality in the area is generally good, although there are locally significant effects from discharges of storm water and sewage and agricultural run off from adjacent fields or via watercourses such as the Quoile. The Department of the Environment working with local councils, the Maritime Coastguard Agency and others has emergency incident plans in place in the event of a disaster such as an oil spill in the Irish Sea. 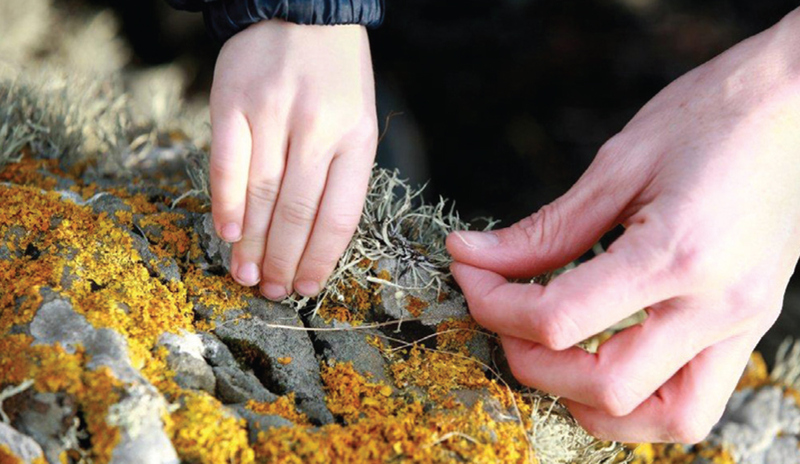 Local Biodiversity Action Plans have been drawn up for Down District and Newry and Mourne, and for Ards and North Down with actions to help conserve, enhance and raise awareness of the biodiversity of the area for the future. Strangford Lough is one of the highest ranking marine environment sites in Europe reflected in its many national and international designations. All of Strangford Lough and much of the Lecale and Outer Ards coasts are Areas of Special Scientific Interest. Strangford Lough, Hollymount Forest, Ballykilbeg Wetland, Turmennan Mire and Lecale Fens are Special Areas of Conservation. Strangford Lough, Killough Harbour and Outer Ards are Special Protection Areas. Strangford Lough was designated Northern Ireland’s first Marine Conservation Zone under the Marine Act. Over and above these designations we should strive to maintain healthy ecosystems because they provide us with many of the environmental ‘goods and services’ that sustain our lives.